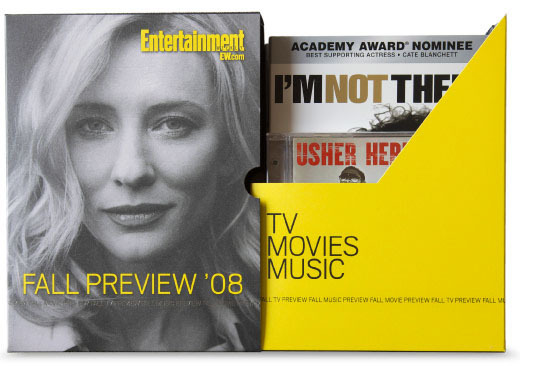 Promotional media mailer elegantly housing top Entertainment Weekly TV, Movie and Music picks for the Fall 2008 season. The packaging celebrates the stars with immaculate black and white photography contrasted with a bold, pearlescent yellow. A delicate silver foil stamped word pattern adorns the top and bottom. 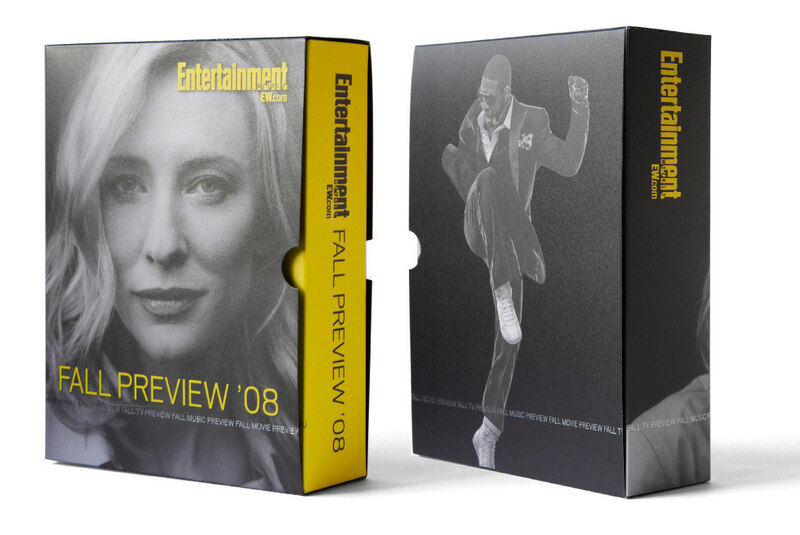 It's the kind of small detail that shows Entertainment Weekly reveres its entertainers—and its top clients.